DISCONTINUED. 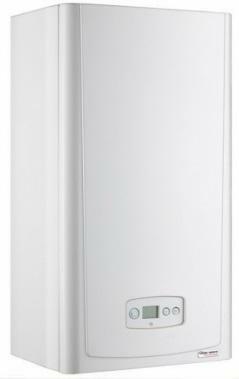 The Glow-Worm Flexicom 24kW cx is a low emission high energy efficient combi boiler. In terms of installation as its name suggests it's one of the most flexible boilers on the market. It's also one of the quietest. Glow-Worm boilers can be fitted with an optional direct rear flue. It means they can be installed practically anywhere and with the minimum of fuss. In fact it's the only condensing boiler in the UK that has this option. Flexible by name flexible by nature. Rated B for efficiency and with a SEDBUK A rating of 89.4% the boiler is as easy to operate as it is to install. It will fit comfortably into most standard kitchen cupboards and measures 70x39x28cm. Fitted with a digital display and frost protection as standard the Glow-Worm Flexicom cx boiler features a five second hot water delivery which is particularly useful for morning showers. The heat and hot water functions can be operated separately for maximum efficiency. Another optional extra is the slide down plug in timer which can be neatly hidden in the casing. With one push the clock glides effortlessly out of hiding. Once you've set the timer simply push the clock back inside the base of the boiler hiding it from view. The Energy Savings Trust recommend this boiler.